It's neither exclusively a charity, nor is his donation is going to a "charitable trust." The vehicle for his beneficence will be the Chan Zuckerberg Initiative LLC, a family-run foundation that he controls and through which he will maintain control of Facebook for "the foreseeable future." 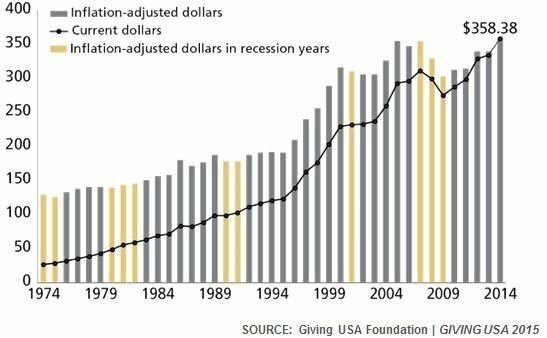 The desire for control leaves the massive pool of money set aside for charities -- about $358 billion in the U.S. last year -- divvied between the roughly 1.5 million nonprofits registered in this country. Creating a new organization every time a company or wealthy individual wants to foster change only shrinks the available slices of that pie. To sum up, his money is not going to a charity, but to his own LLC, which will let him evade tax by moving his private assets into a foundation. See, Zuckerberg doesn't need massive tax benefits to do whatever he wants. He can just do whatever he wants. As Michael Maiello in his Daily Beast piece reveals, "when we pay people like Zuckerberg to fund their own foundations, we are really helping the rich and coddled few even as we thank and honor them for their charity." The Facebook CEO says there's nothing negative about the Chan Zuckerberg Initiative. 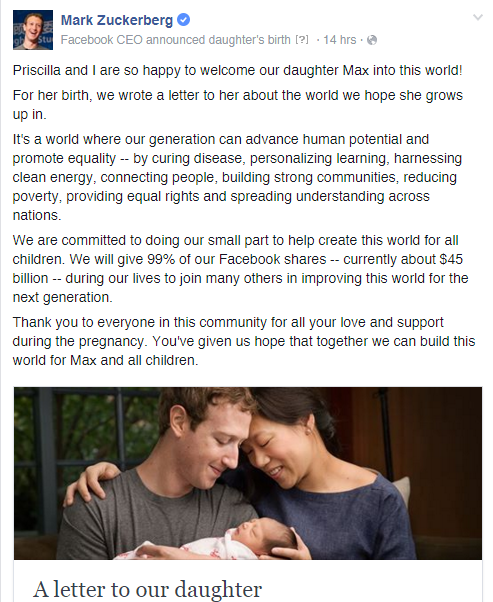 Mark made the announcement for the pledge on Facebook together with his wife Chan. They recently gave birth to their daughter Max. Project B, a cafe for the people, by the people. But it won't do what you think. Ha! Let's put an end to the constant annoyance caused by Facebook! The social network is about to get more lively and animated than ever before. It will be headed by the PM while the DPM will be its Deputy Chairperson.